Why choose products made from British wool? The UK has more sheep breeds than any country in the world – over sixty different breeds cared for by more than forty thousand sheep farmers. Wool is grown naturally on sheep that roam freely in the countryside. 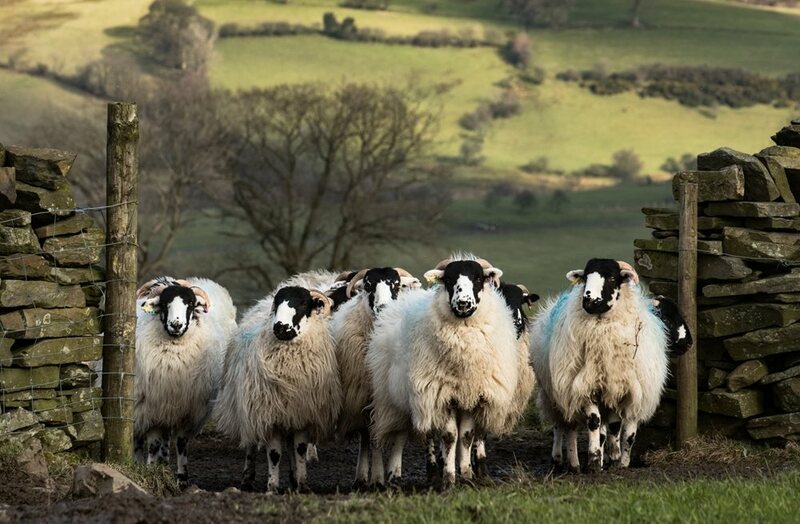 Farmers help to preserve the UK’s landscapes, as sheep grazing helps wildlife to thrive. Sheep re-grow their fleece every year, making wool one of the most sustainable fibres available. As long as there is grass for sheep to eat, wool can be produced, in contrast to synthetic fibres, which require oil and refineries, a non-renewable resource for man-made fibre production. Soft, yet strong and durable, British wool is used in a broad range of products, including carpet, bedding, apparel, furniture and craft. Click on the links to find out more about the features and benefits of beautiful, natural British wool.